A Horse Carrot Stick and String - Natural Horsemanship Carrot Training Stick and String. 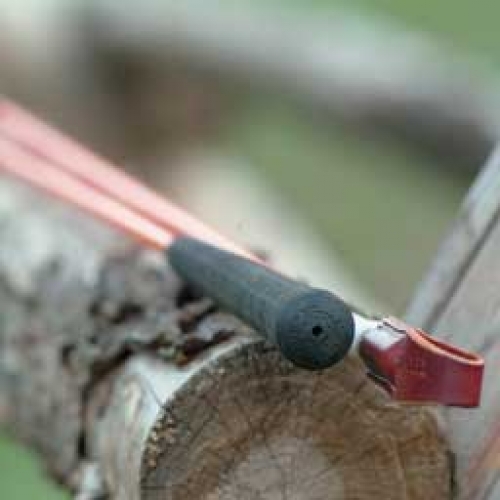 Carrot stick is 1.2m / 4ft in length with a rubber handle on one end and a leather latigo loop on the other for attaching items such as the universal string. The Communication Stick is ideal for various applications during natural horsemanship / parelli training. Helping bring a natural balance back to horse and pony. The Communication Stick acts as an extension of your arm - not as a whip. It's non-flex design gives you more feel, accuracy, and versatility when teaching your horse! We send our flags by courier, due to their size, and in some cases you may need to pay a surcharge in addition to our standard shipping charge. Please be sure to select your delivery address from the drop-down box when adding this product to your basket. For all other delivery addresses in mainland England and Wales there is no surcharge.